How can brands use digital technologies to ensure their customers stay content, satisfied and happy? 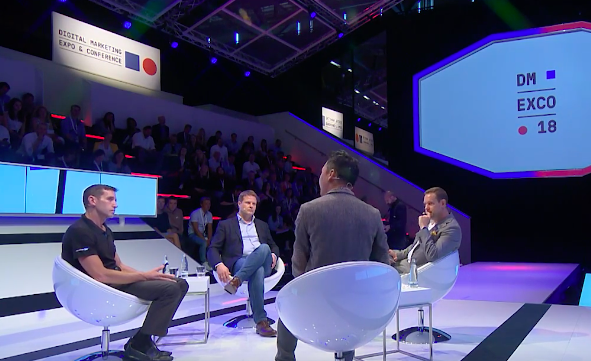 In a panel session on the so-called ‘Age of the Customer’, Philipp Missler, MD of Amazon Advertising in Germany, Phuong Nguyen, GM of Advertising EMEA at eBay, and Kevin Cochrane, CMO of SAP Customer Experience, discussed how data, analytics and AI could help brands get closer to their customers and enhance an ever-changing customer experience. As technology continues to empower the customer to be in control of their interactions with brands, they are increasingly demanding a more seamless customer experience. SAP’s Kevin Cochrane agrees: “It’s about building a digital-first, customer-oriented services platform.” To suit this changing customer, and with it a changing customer journey, brands need to be communicating with their customers when they want it, how they want, and in a way that suits them. As a result, companies at the forefront of digital marketing increasingly look to leverage technologies to create more personalised customer experiences. “Understanding the core needs of the customer really needs to be the starting point,” says eBay’s Phuong Nguyen. One example of making the most of technology opportunities is the work eBay is doing with AI and customer experience. eBay has introduced shopping features powered by AI, which are in line with its overarching strategy to put personalisation at the core of the business. The company has also partnered with Google to experiment with multi-surface switching technology, which allows its customers to seamlessly shift between experiences; for example AI-enabled voice search to visual search on a mobile device. In this scenario, eBay customers are able to search for products on eBay using their Google Home smart speaker device. Once they have found the product they are looking for here, they can then continue the shopping experience on their mobile device. However, there are salient data and privacy issues to contend with. Cochrane is quick to point out that, in a hyper-personalised world, where brands can personalise their customer’s experiences using the huge quantities of data they have at their disposal, security and data privacy is all important. The after effects of the Cambridge Analytica scandal are still being felt and, following the activation of GDPR, consumers are increasingly interested in all things data as well as privacy. Brands are faced with a customer who is hyper aware of the data being collected on them, as well as their rights around it. Consumer data and privacy has to be the foundation for the customer experience, argues SAP’s Cochrane: “We are now collecting all this data because we now have [virtual voice assistant] Alexa in the home and Alexa is actually listening to what you say,” he observes. “That’s great because that data is leverageable but let’s make sure that information doesn’t go outside of your private, personal benefit,” he adds. “If you’re not protecting the customer’s identity, you don’t have a right to play in the customer experience”. The discussion underlines the duty brands have to show empathy with the customer. It is imperative to ensure that customers are aware of the data being collected on them and consenting to that action. “We’re putting consumer data and privacy at the core of the entire consumer and business experience,” says Cochrane. “We need to build the infrastructure right in order to support the next twenty years of growth”. ‘Big Data’ presents so many opportunities for businesses, and the range of insights available through data analysis today is almost endless. Check out our lessons on Big Data for some insight into how it’s already being utilised across organisations today and how to approach the planning and execution of your own big data projects.